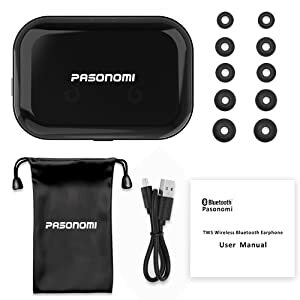 The charging case is not only a PROTECTOR but also a POWER BANK for the headphones. 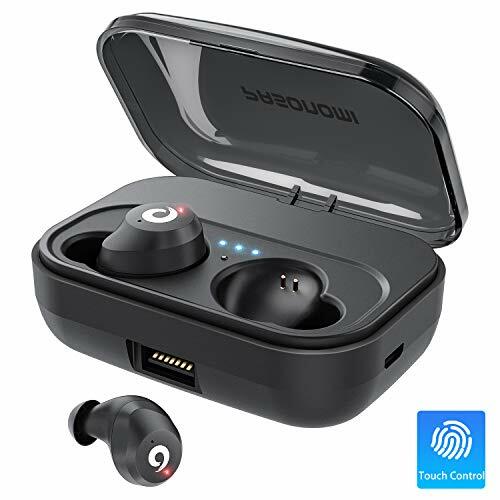 Built in 2200 mAh larger capacity, it could recharge the earbuds 15-18 times. 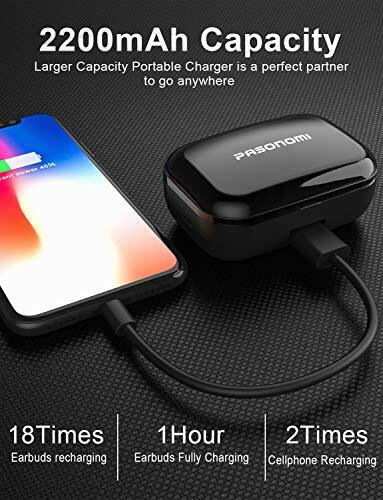 Also use it as phone power bank up to 2-3 time recharging when out of power. Small and sleek design make the charging case slides effortlessly into any pocket or bag. 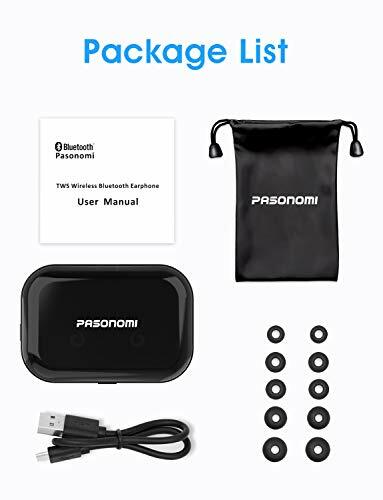 Note: The earbuds last 4 hours for a single charging, and the charging case provide about 18 times recharge, That's the 72 hours. 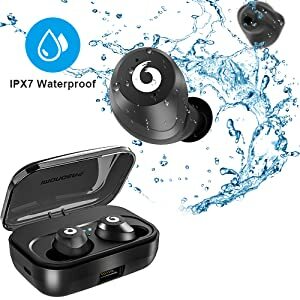 IPX7 Waterproof Nano-coating efficiently prevents water and sweat from penetrating and damaging its sensitive component. 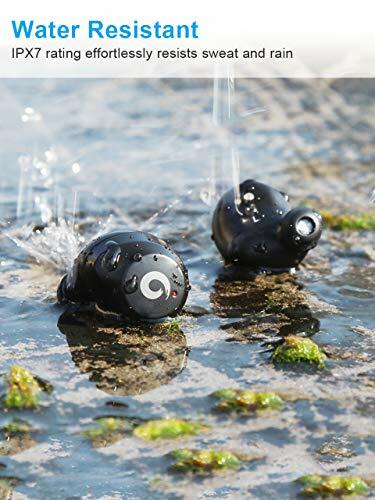 Working properly for workouts in the sun or songs in the rain. 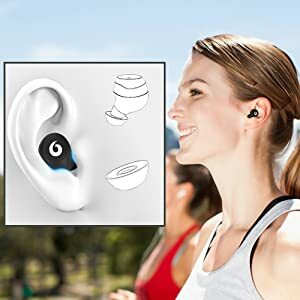 Perfect for running, jogging, hiking, yoga, exercises, gym, fitness, travelling and etc. 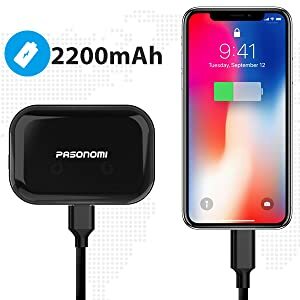 Note: The charging case is not waterproof. 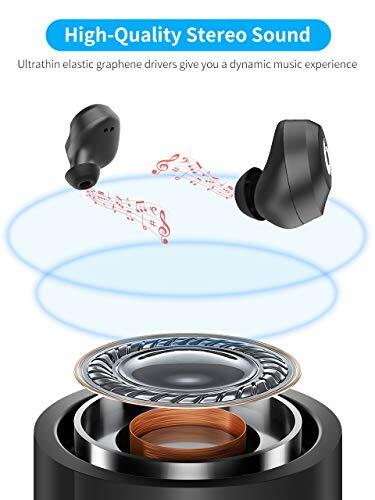 This wireless earbuds's graphene-coated drivers are rigid, yet light. 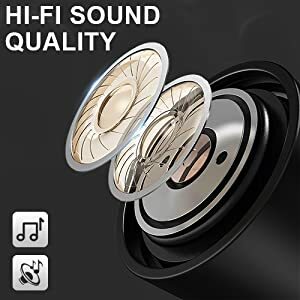 Crystal clarity and deep, resonant bass with delicately tuned sound signature deliver immersive sound and put you on the stage center. 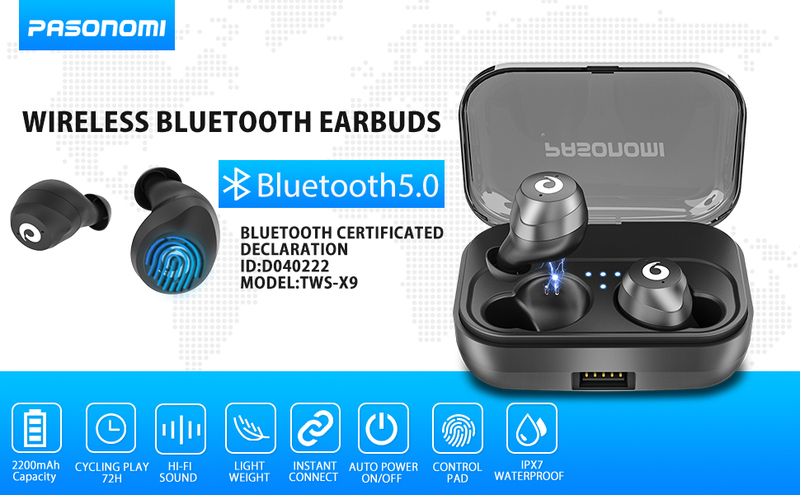 Adopting latest Bluetooth 5.0 maintain a super-strong Bluetooth connection and a superior sound across the entire frequency range. Ergonomic Design allows a ultimate wearing comfort for active lifestyle. 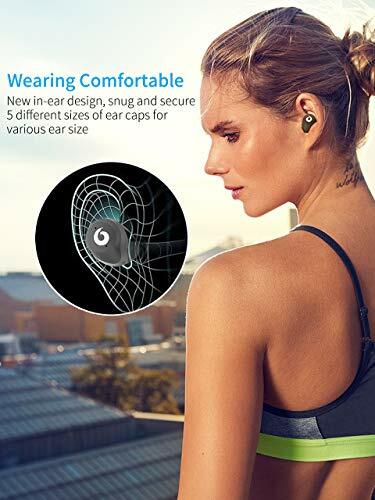 3 options of ear tips assure you to get your favorable sizes and ensure the earbuds stay comfortably firm in place, not easy to fall from ears without recognition. 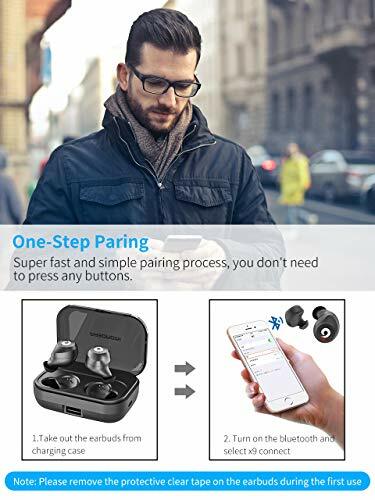 ONLY remove the Left and the Right earbuds from charging box simultaneously and they will pair with each other, then "X9 " automatically appear on your smartphone. 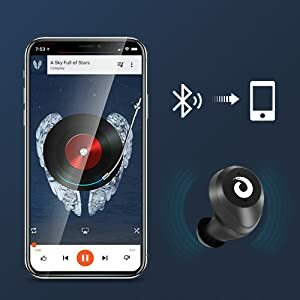 In a matter of seconds, you are in your euphonic music world.